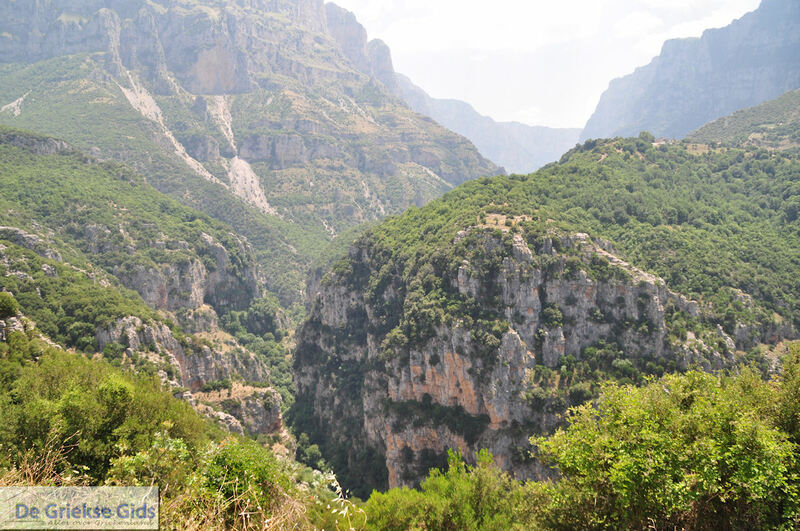 Vikos. 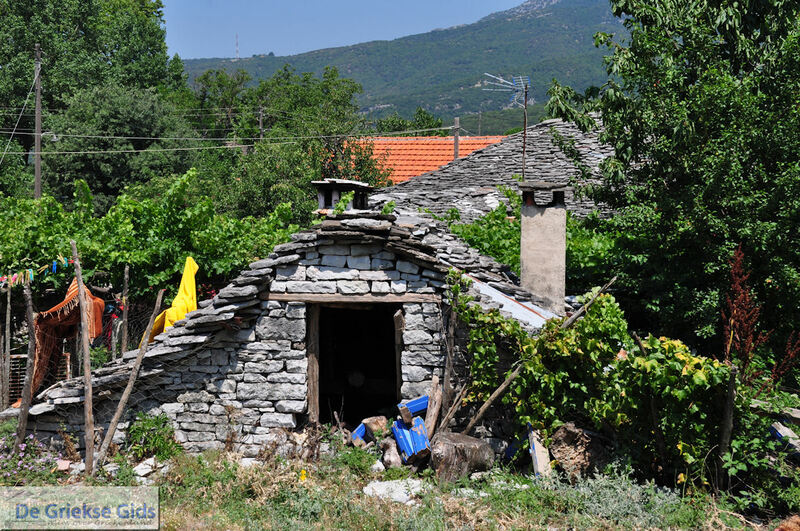 Vikos is a traditional village of Zagoria. 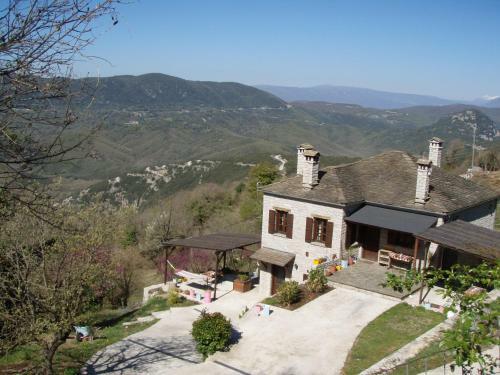 This village is built on the steep hills. 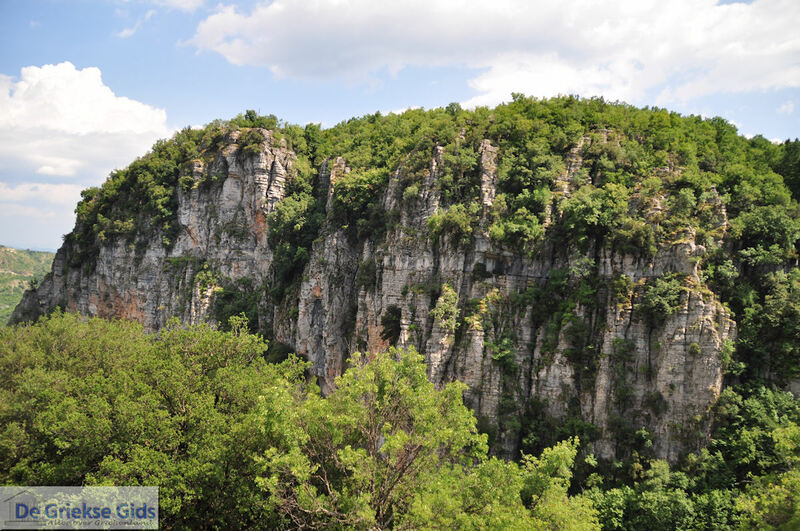 It looks as if it is hanging on the cliffs of a high mountain, above a deep gorge. 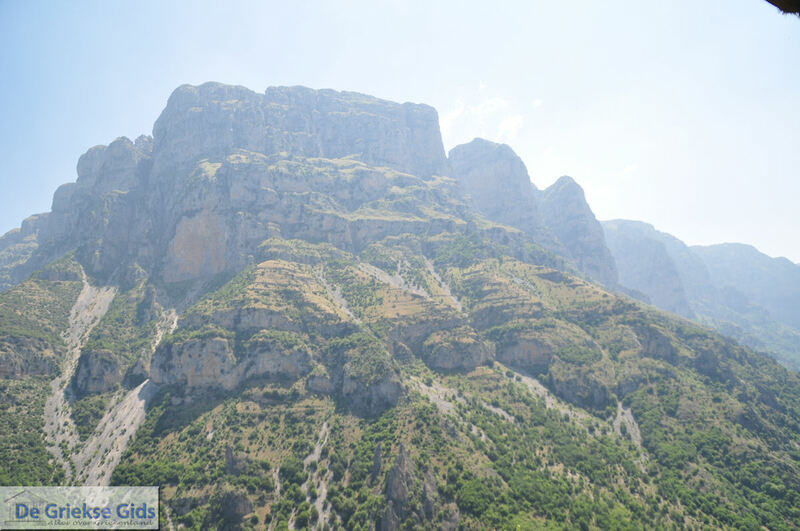 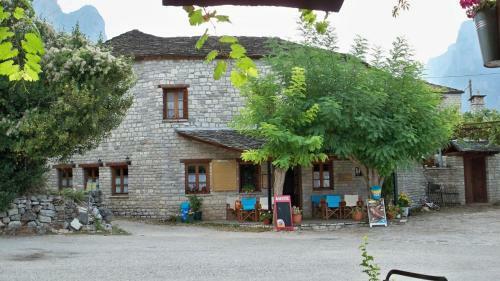 It is located in the National Park Vikos-Aoos, west of the mountain Smolikas. 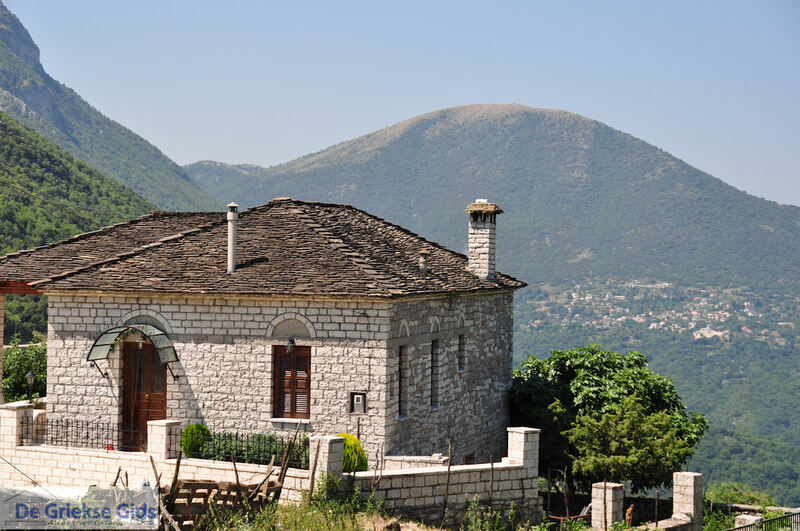 The village consists of characteristic stone houses and is only accessible via the village of Aristi. 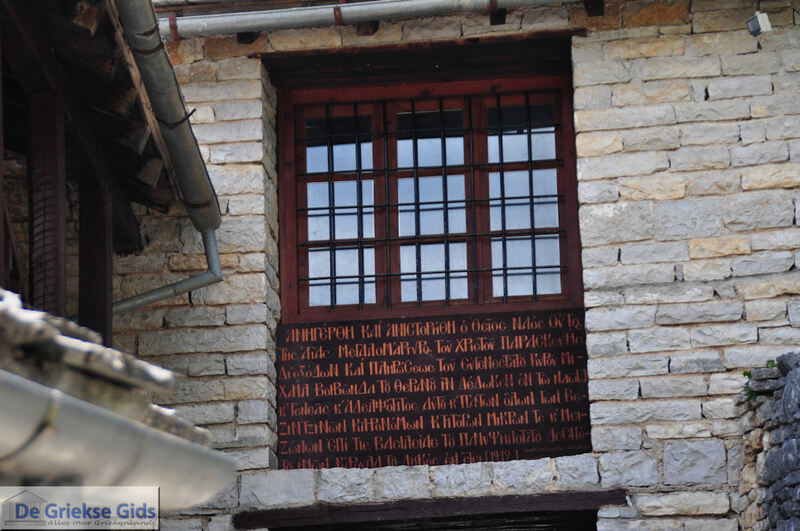 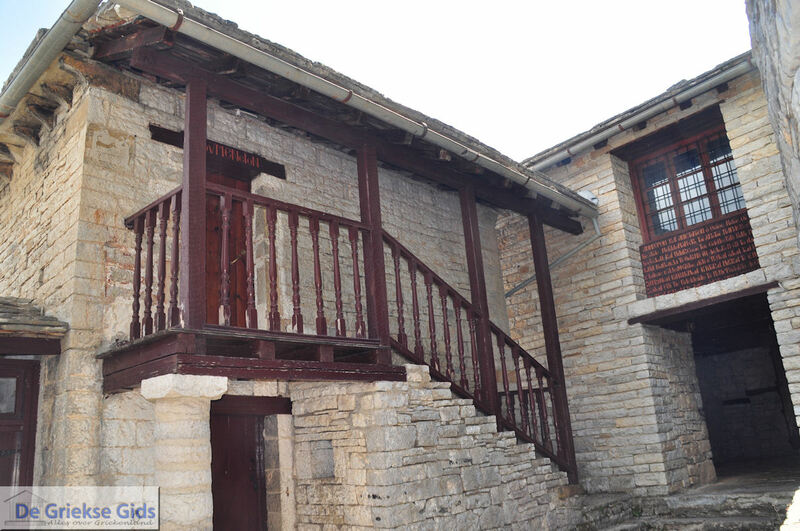 In the center of Vikos, on the village square, is the church of Agios Triffonas. 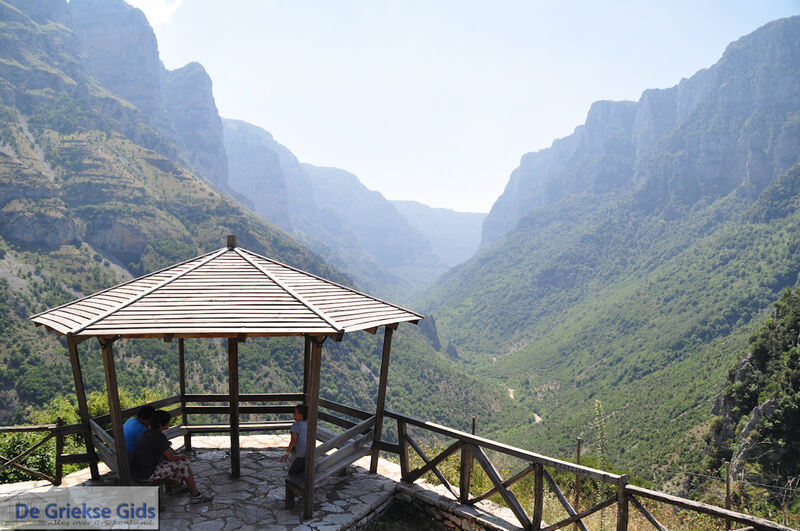 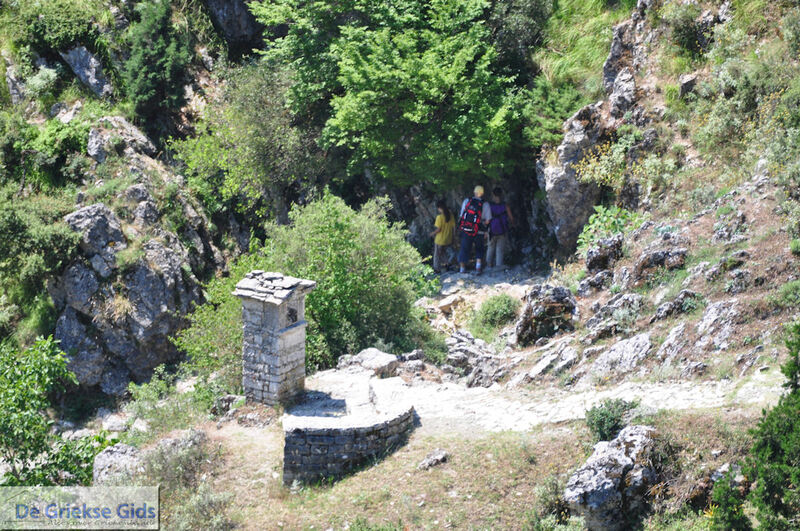 Every day tourists come here to admire the beautiful gorge (the Vikos Gorge). 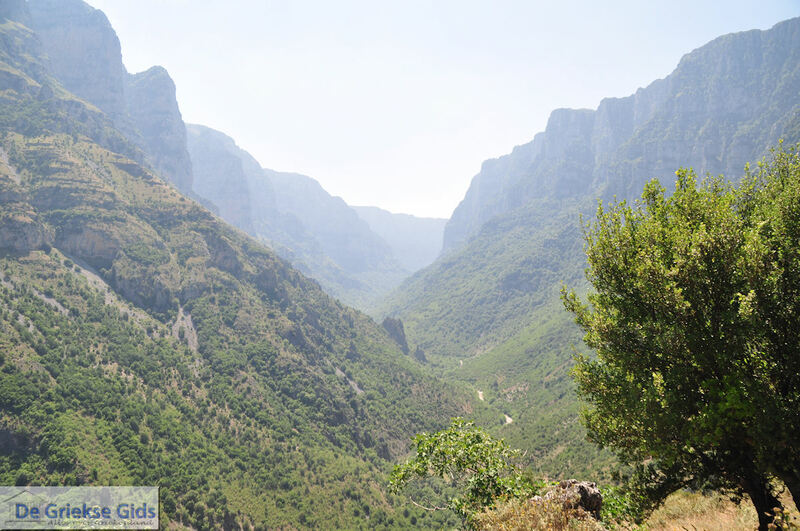 The 26 kilometer (16 mile) long Vikos Gorge is carved by a river which in the summer is almost dry.